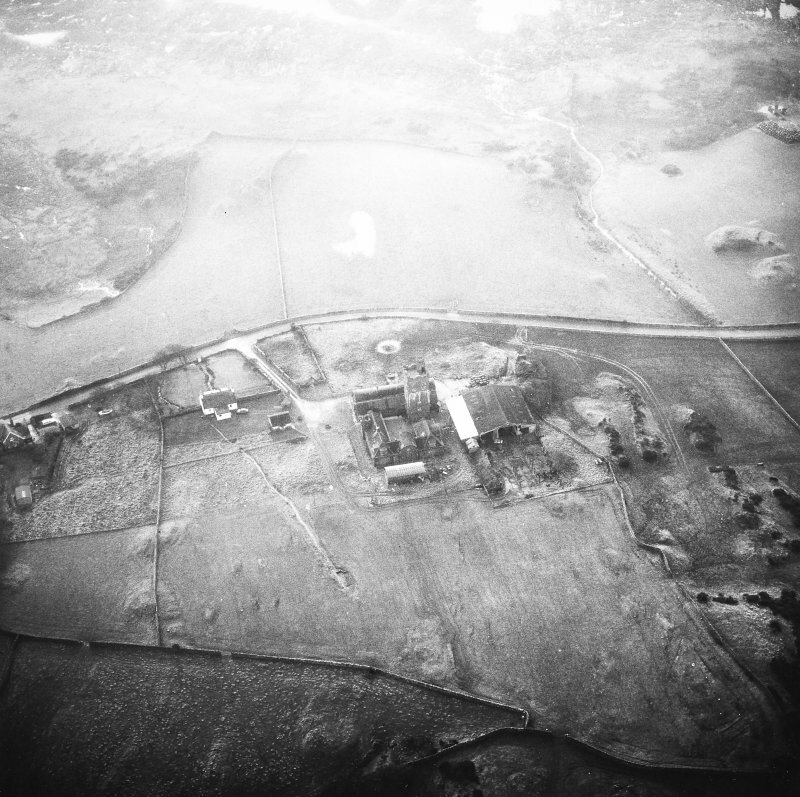 Oblique aerial view of Corseyard Farm, taken from the NNE. 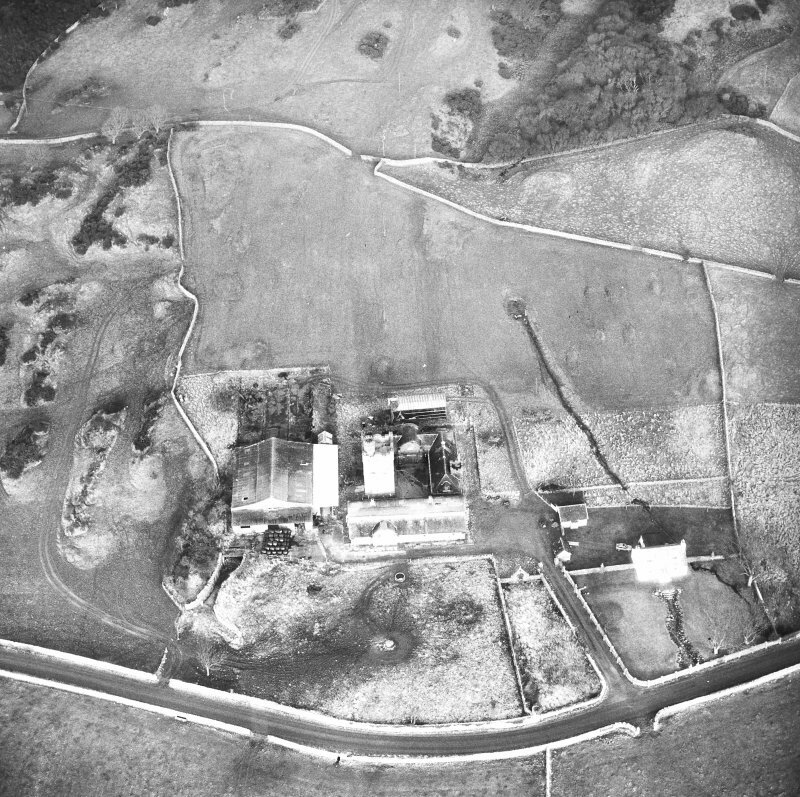 Oblique aerial view of Corseyard Farm, taken from the SW.
Oblique aerial view of Corseyard Farm, taken from the W.
Oblique aerial view of Corseyard Farm, taken from the NW. 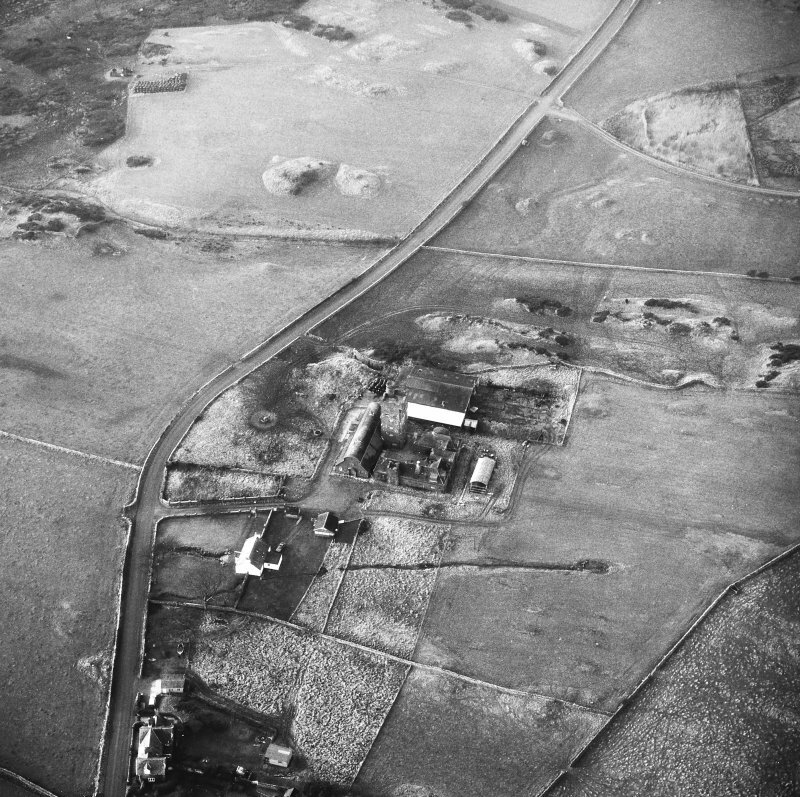 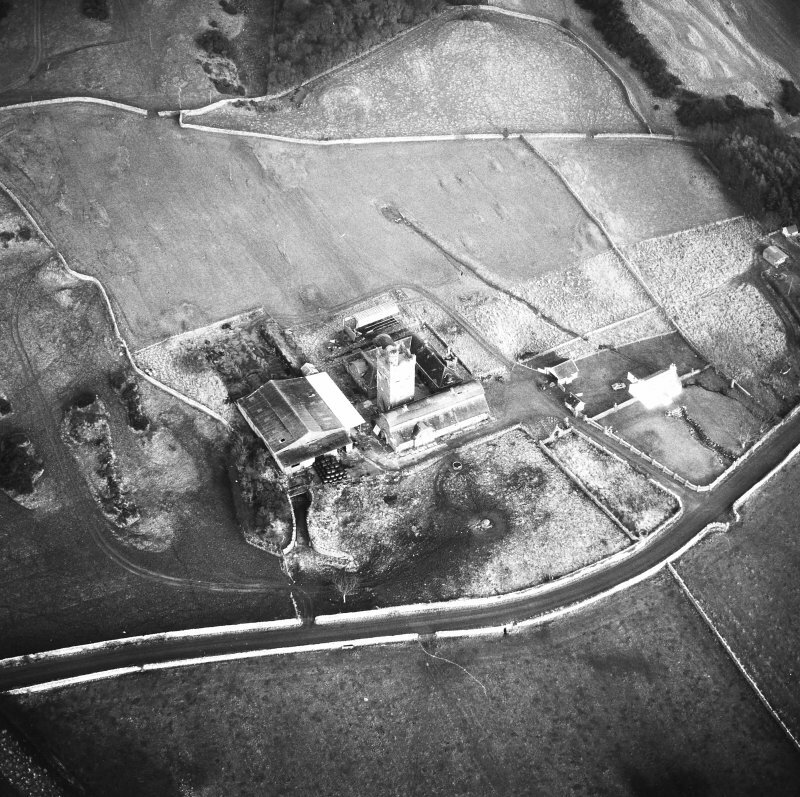 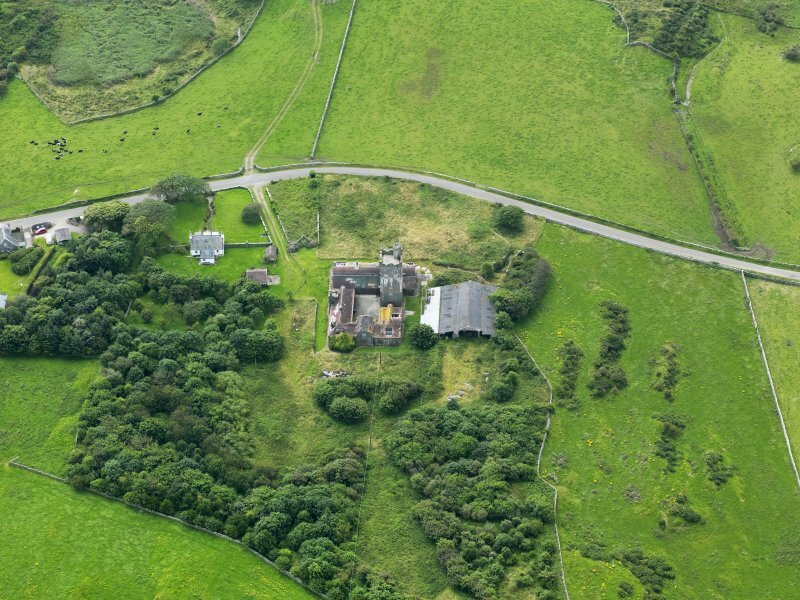 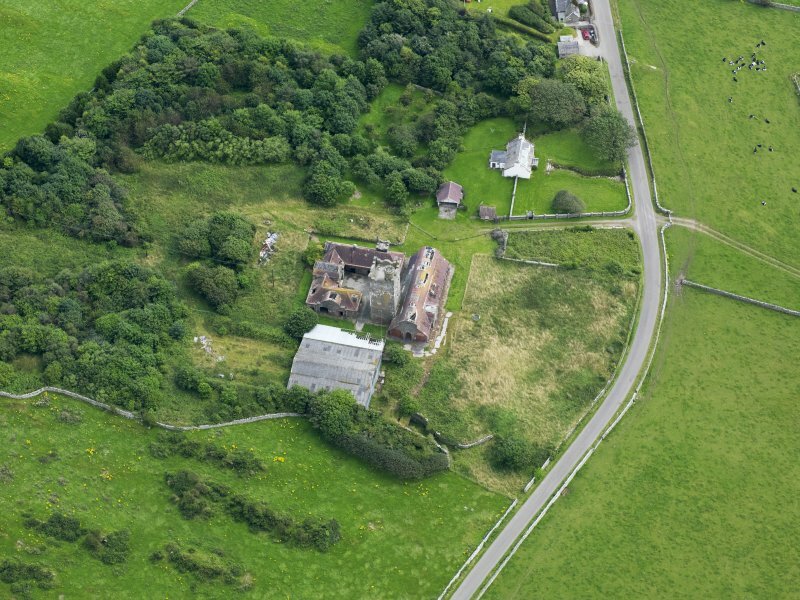 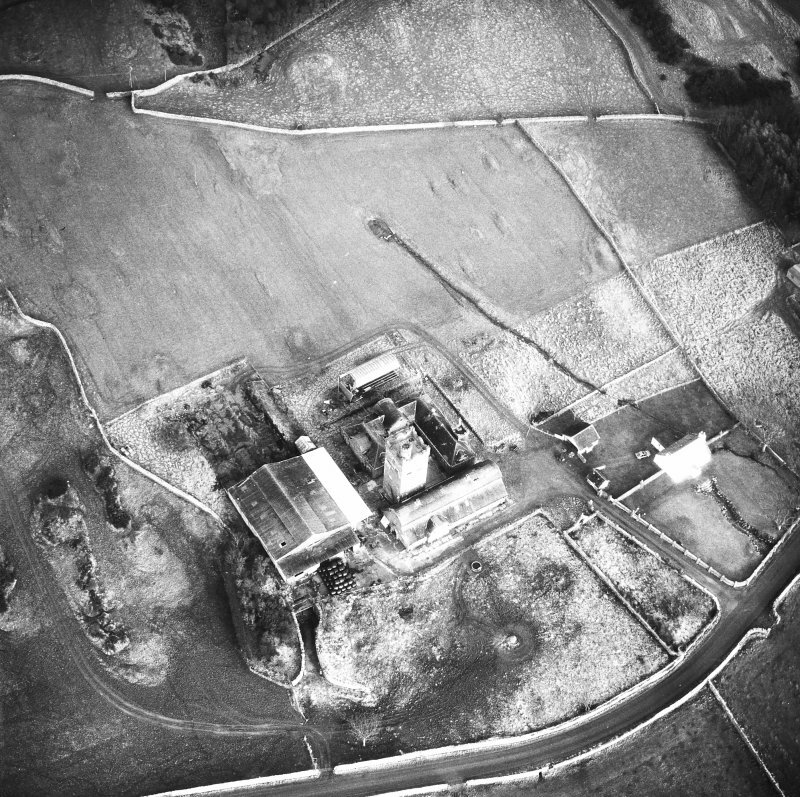 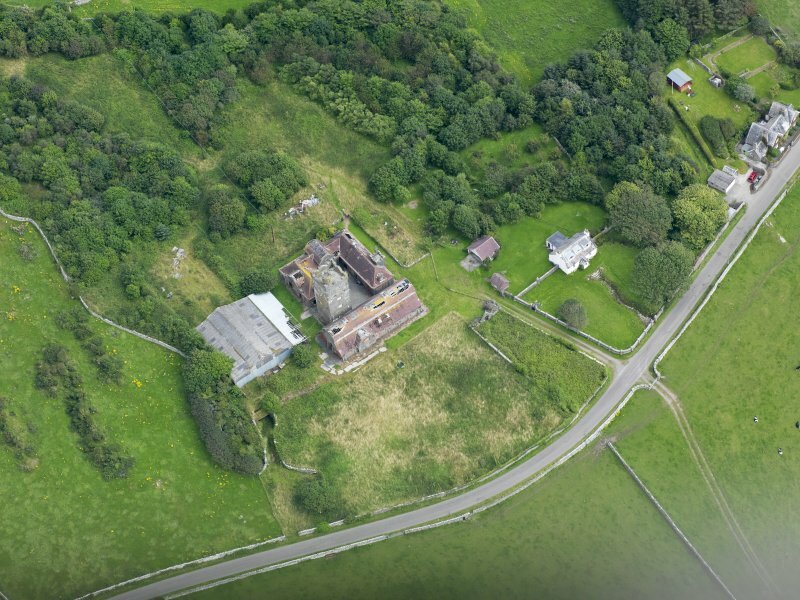 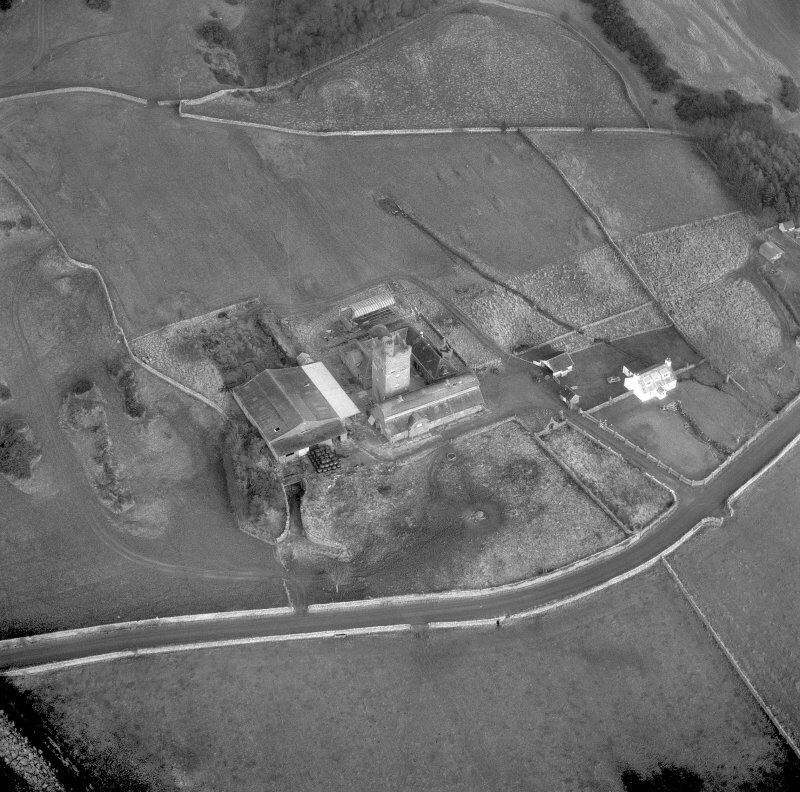 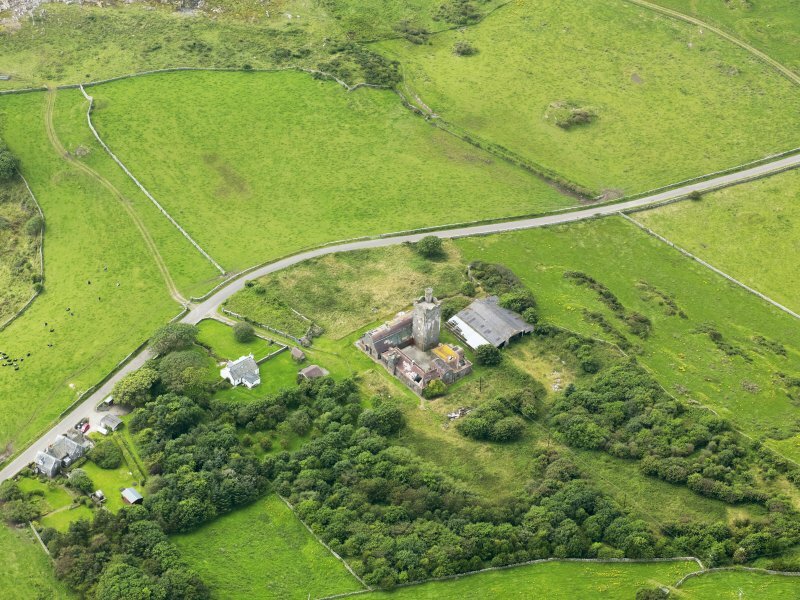 Oblique aerial view of Corseyard Farm, taken from the NE. 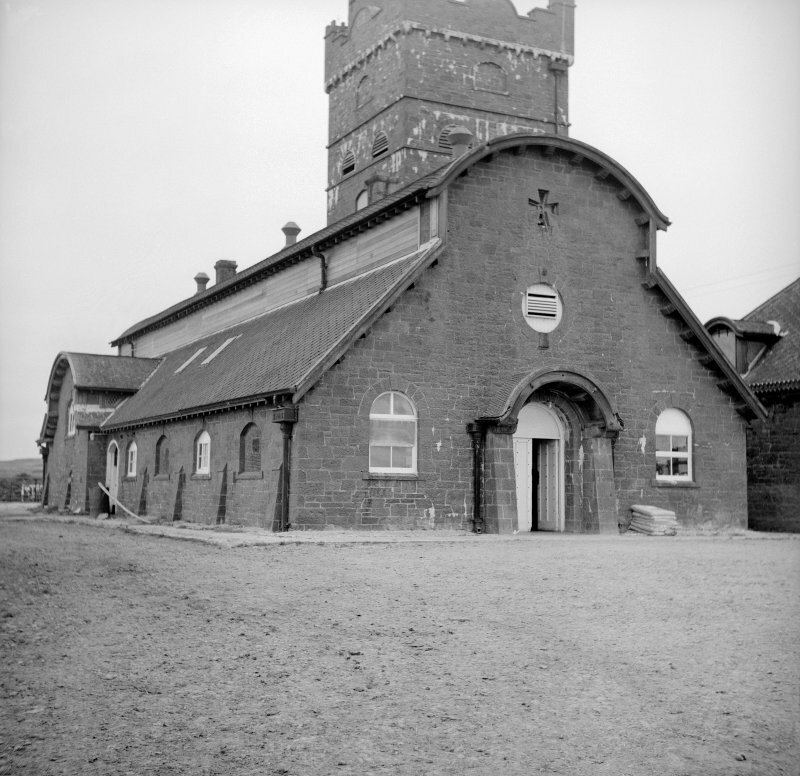 Model dairy steading built for James Brown of Knockbrex. 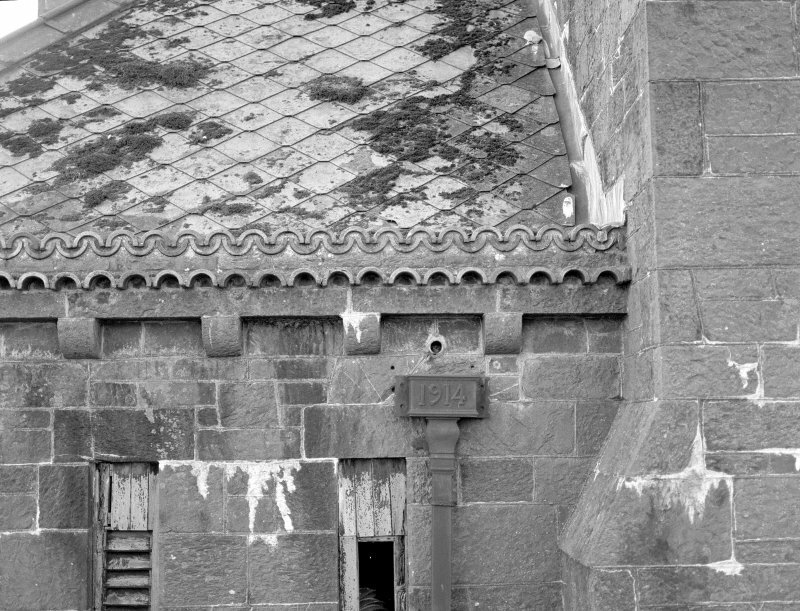 Loosely gothic decorative details, including glazed tiling, Roman-style asbestos roof tiles, faience bricks internally. 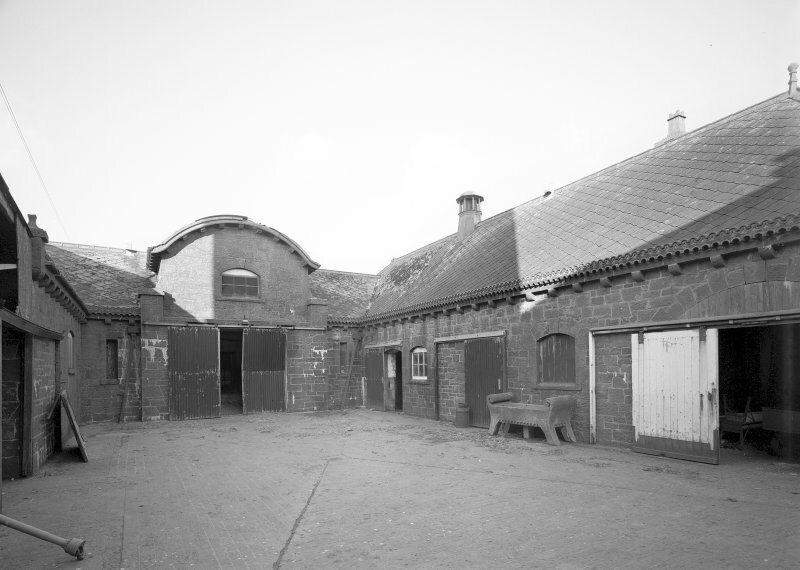 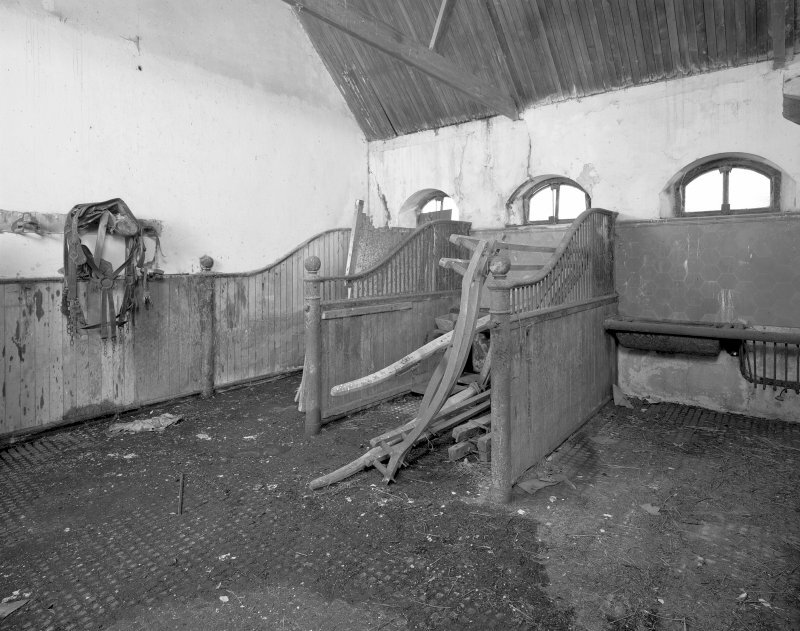 Steadings consisting of large milk parlour, stables, cartsheds and barn, laid out around square courtyard, with dominant square tower. 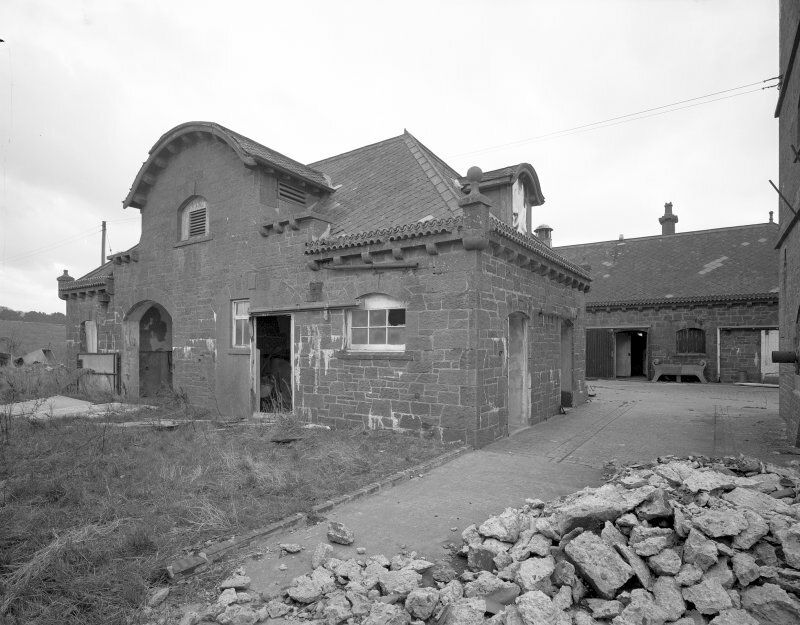 Single and 2-storey buildings of tooled coursed masonry, depressed arch windows and segmental vehicle entrances, all with bold keystones. 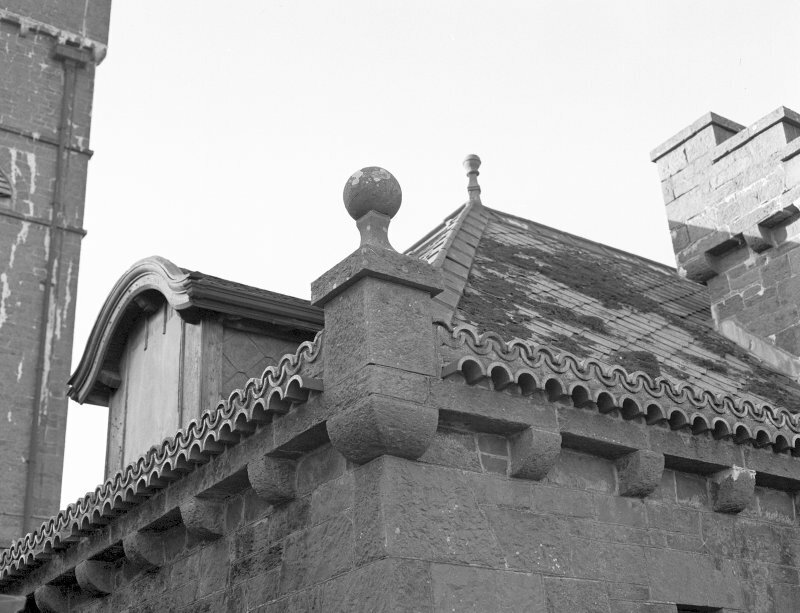 Corbelled eaves with double row of decorative salt-glazed pantiles set in mortar bedding, ball finials to angles, red asbestos roof tiles in diamond pattern, ceramic ridge cresting. 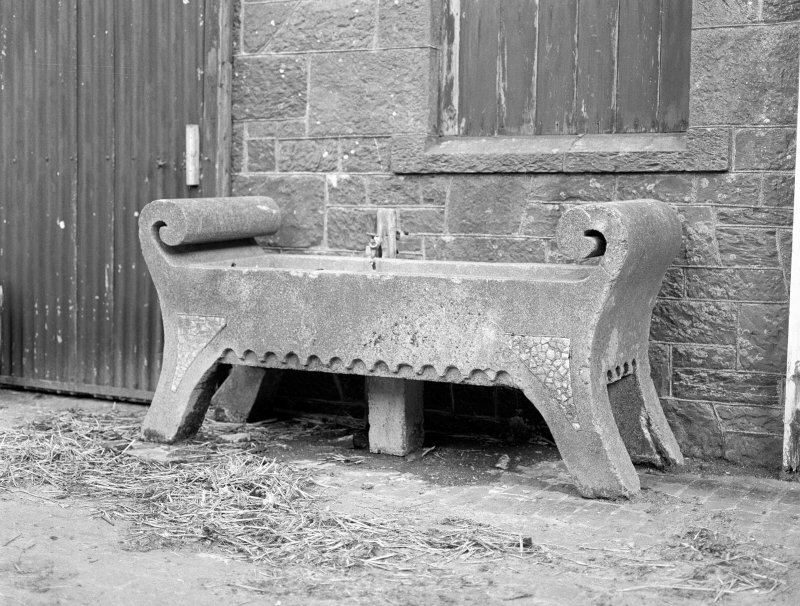 Corseyard farm model dairy is an outstanding example of a model dairy, built under the imaginative patronage of James Brown who also owned the nearby Knockbrex estate (see separate listing). 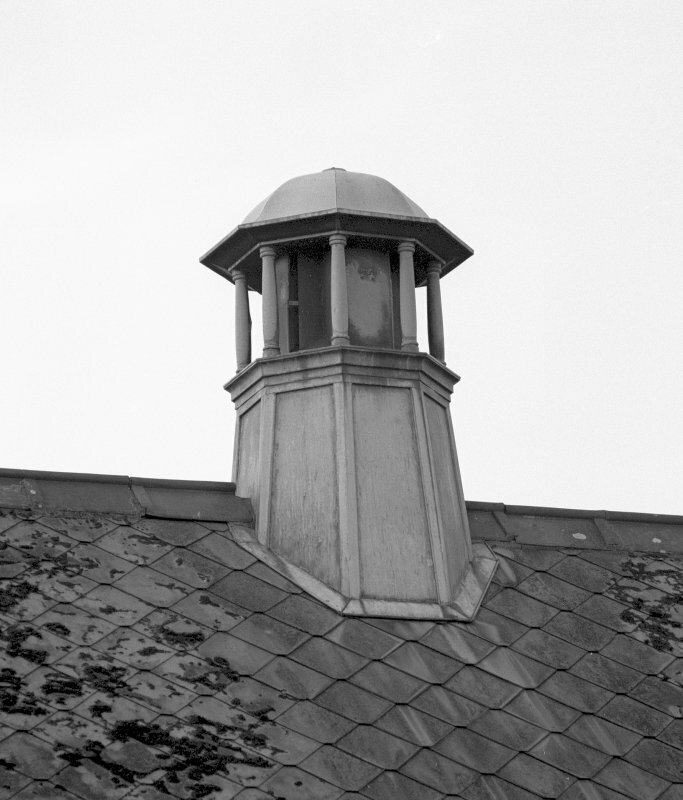 The dairy exhibits fine architectural detailing, which is unusual for a predominantly functional building type. 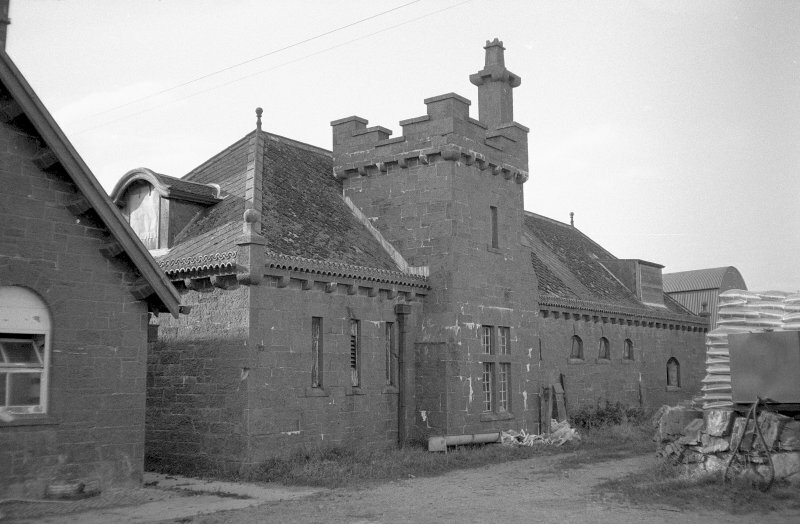 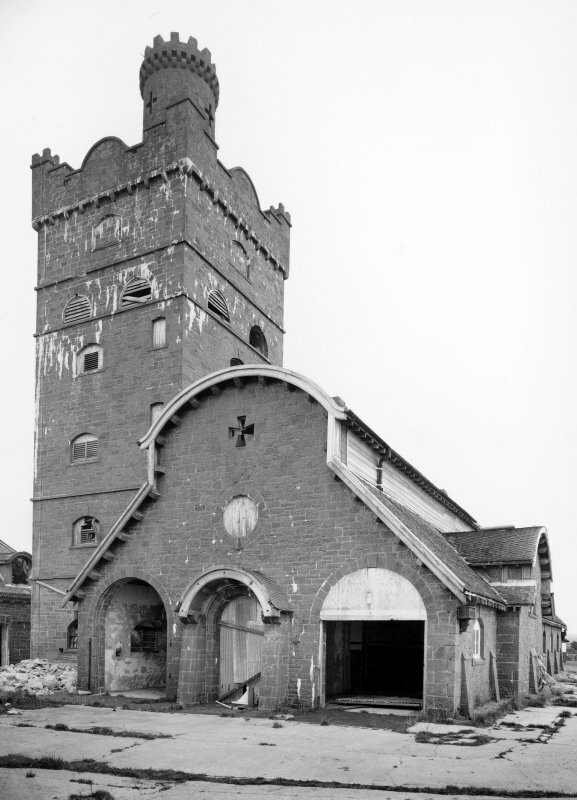 The style is predominantly Gothic revival, with prominent buttresses and deep hoodmouldings to the main, milking parlour, block. 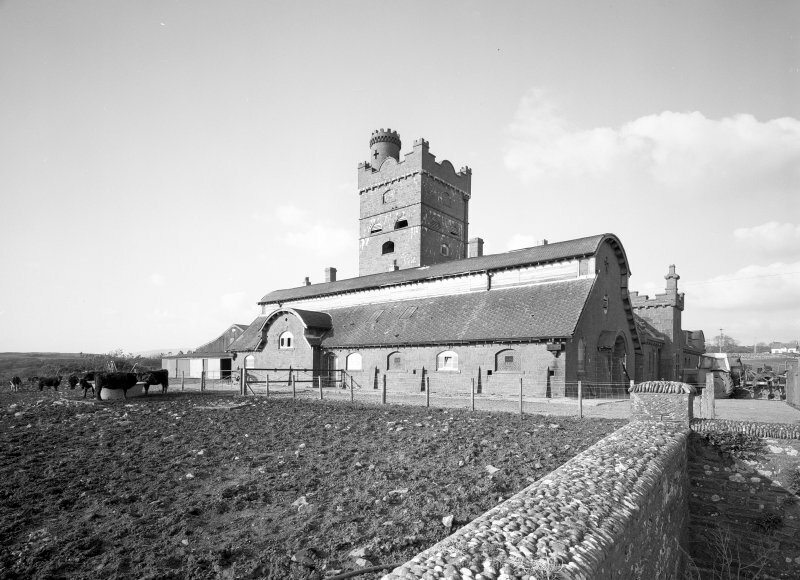 The complex also exhibits nave and aisle plan sections and use of architectural detailing such as arrowslits and battlemented turrets. 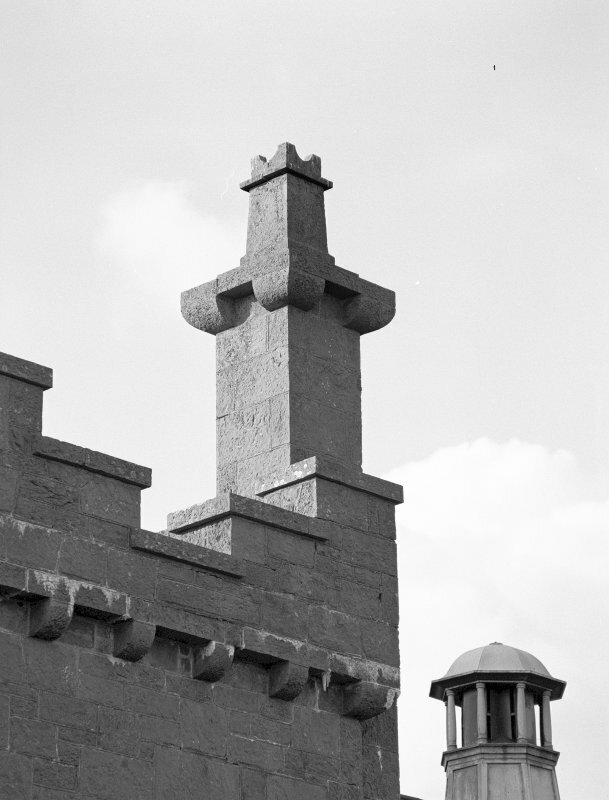 The use of highly decorative architectural detailing is characteristic of Brown´s patronage, and can also be seen at the nearby wash house at Ingleston and at Knockbrex itself (see separate listings). 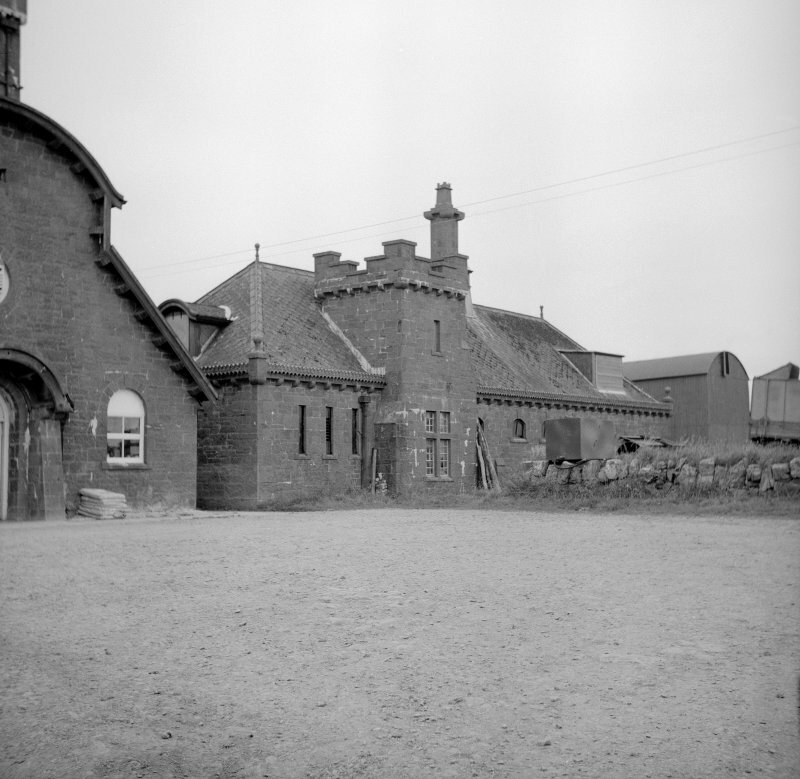 Both these buildings and the dairy illustrate a careful blend between ornamental design and practical function. 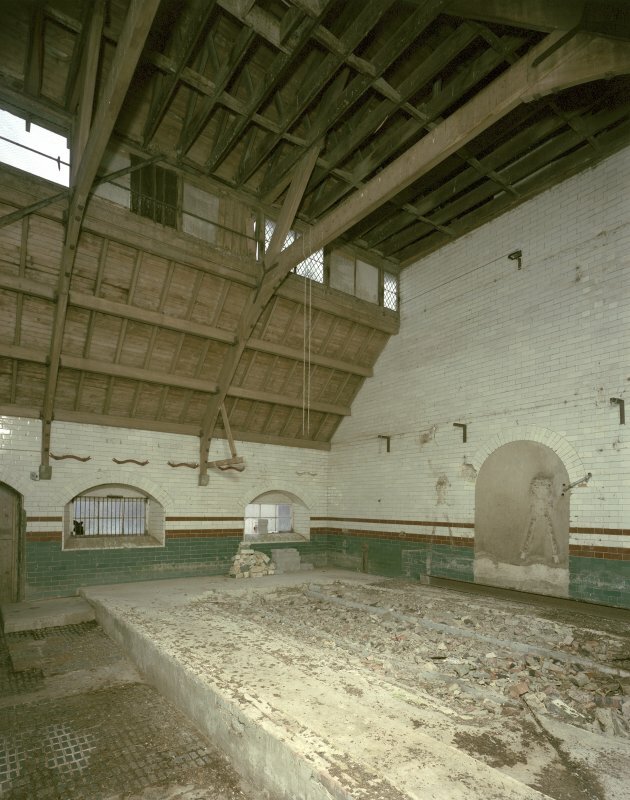 In the case of the dairy the use of high quality glazed tiles to the interiors of the milking parlour both enhance the richness of the architecture and also provide a practical interior for the building. 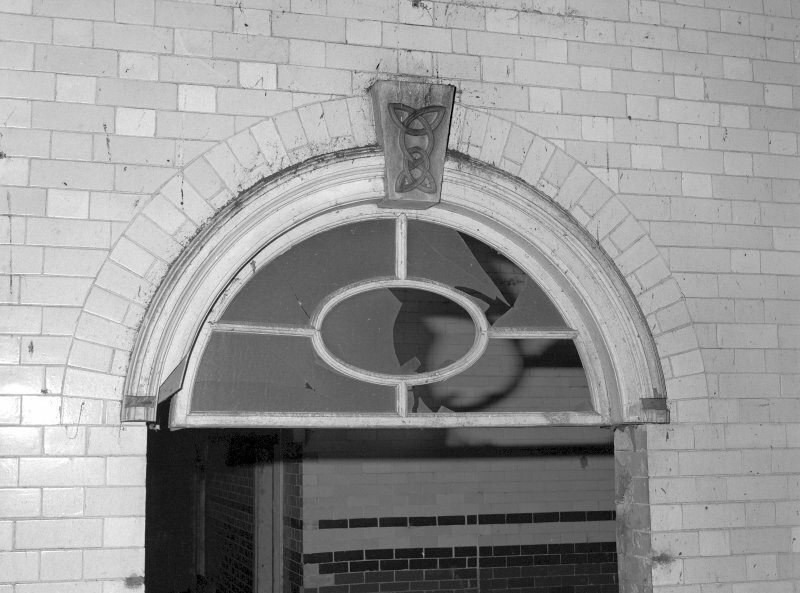 James Brown was a wealthy Manchester merchant, chairman of the retail and wholesale drapery firm of Affleck and Brown. 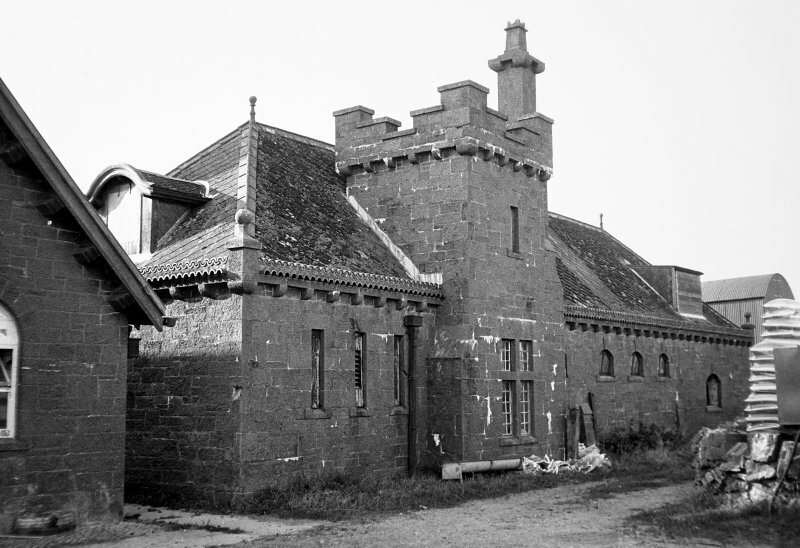 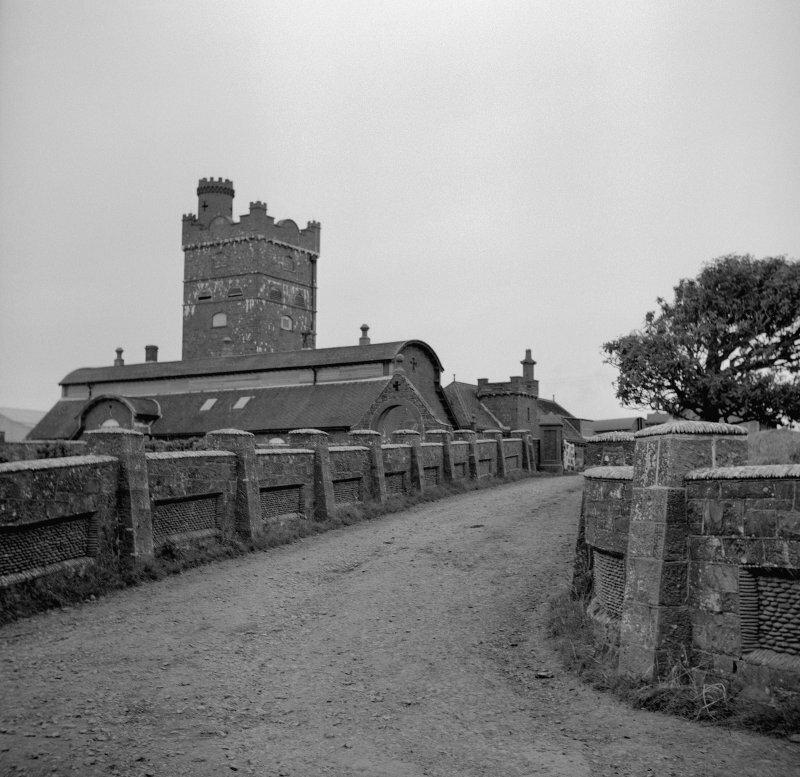 He retired to Knockbrex and began an extensive building programme on the house and estate from 1895 until his death in 1920. 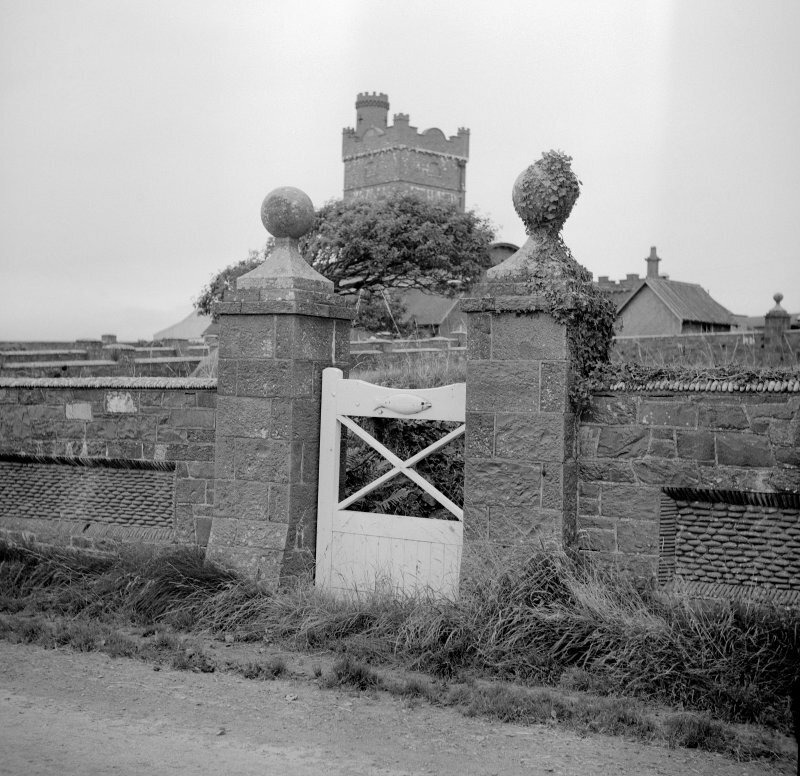 Apart from Knockbrex House itself which is comparatively sober in design, the other estate buildings are characterised by a stylistic individuality bordering on the idiosyncratic, and always a careful attention to detail using the highest quality materials. 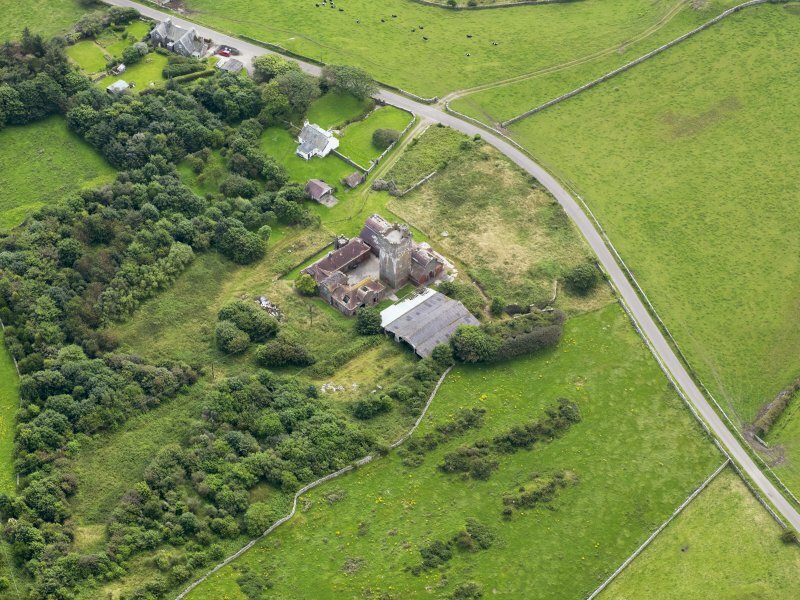 For other estate buildings see separate listings for, Kirkandrews Chapel, Kirkandrews Cottages, Chapelton Row, Knockbrex. 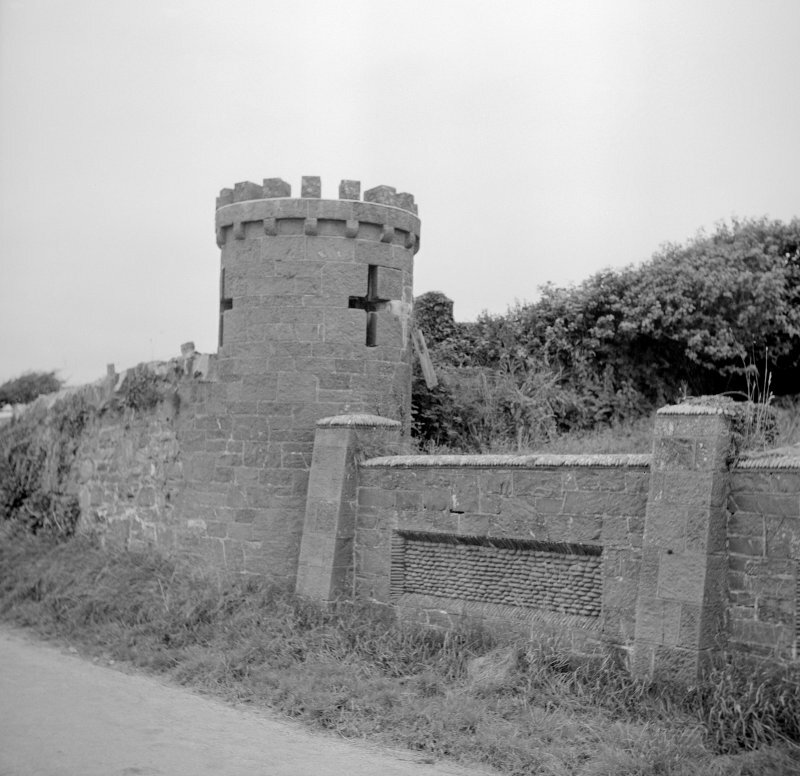 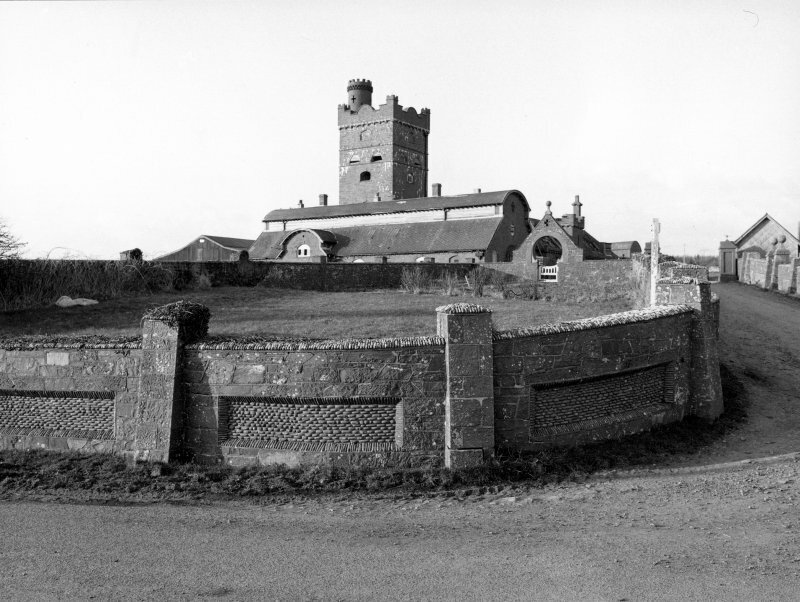 The architect for Brown's work at Knockbrex may have been G H Higginbottom who was based in Manchester. 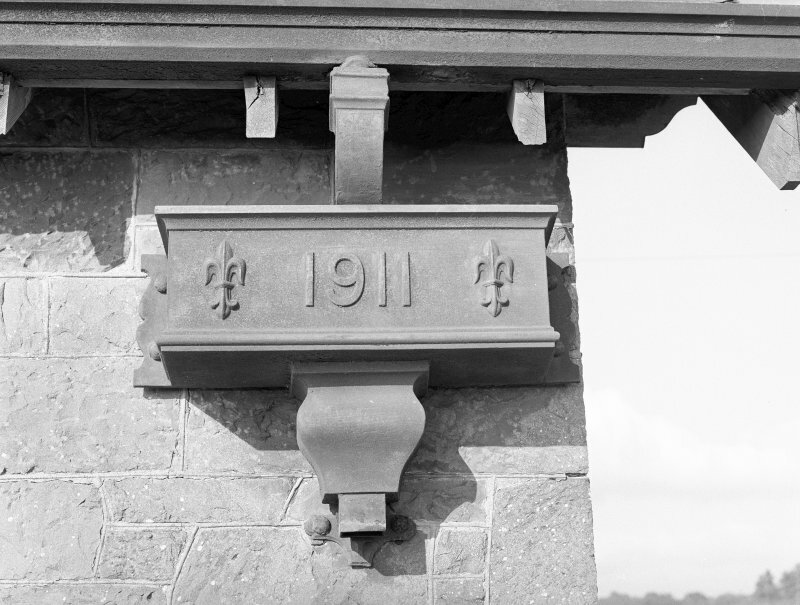 Higginbottom worked in the Arts and Crafts style and was associated with the craftsmen, cabinet maker Frank Hallows and coppersmith James Smithies who Brown used in other commissions.